Self-healing cutting board, at least 24″ long. Roller cutter, with new blade, plus at least one spare blade. 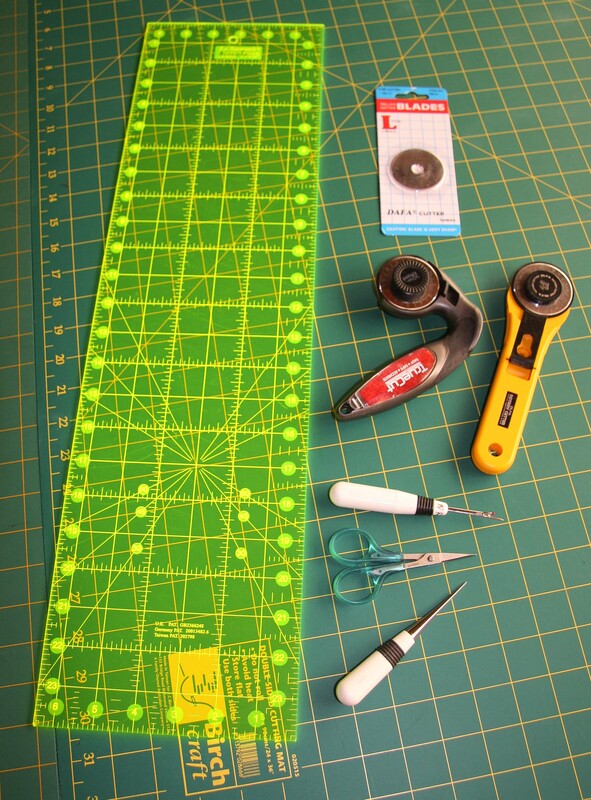 24″ x 6.5″ quilting ruler. Unpicker, awl, small pair of scissors. 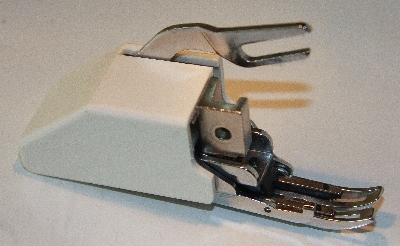 Sewing machine with both a 1/4″ foot with guide and a walking foot. A fine thread for piecing, for example Rasant. If there are multiple fabric colours, use beige for all the piecing. Quilting safety pins (they have a bend in them). Safety pin closer. These are commercially available, however a short piece of dowel with a nail hammered into the end works just as well! 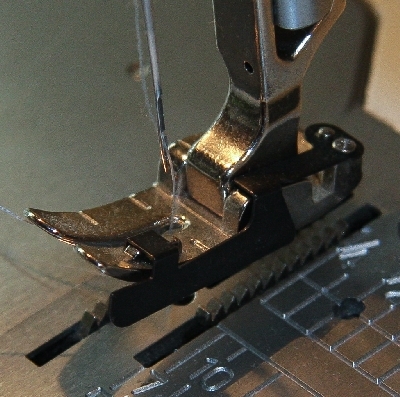 Elbow tweezers; these make it easier to thread the needle when the walking foot is attached. Threads that blend with the various colours in your quilt, for use when quilting. 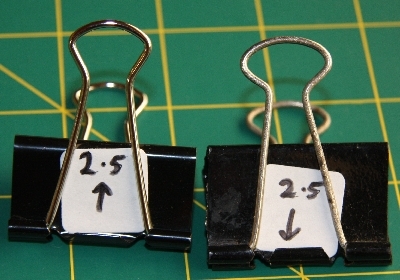 Butterfly Clips can be used to keep strips of the same fabric together; this reduces the chance of making a mistake. Small pieces of cardboard should be used to protect the material. 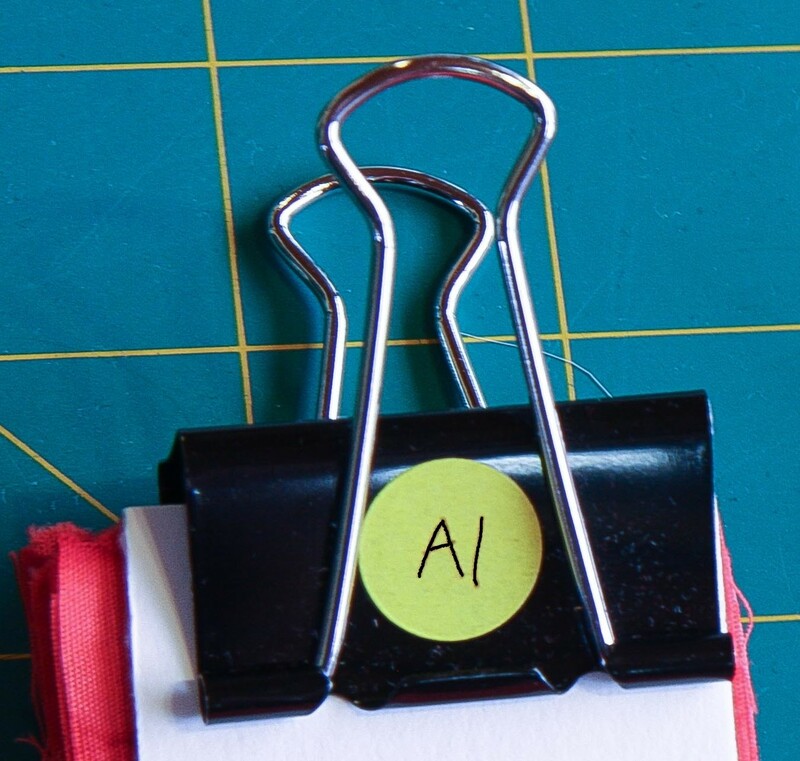 You will need enough clips to hold together each fabric colour and then each cut width.